The Blackhawk! 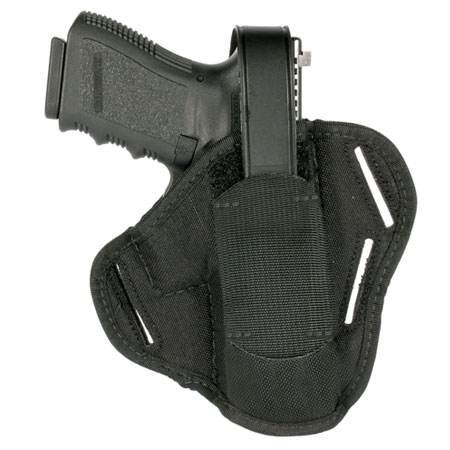 40PC03BK 1000 denier nylon laminate pancake holster gives you superior performance in a thin, lightweight package. Its 3-slot design gives you the option of wearing it in a strong side, appendix or cross draw positions and the belt slots pull the holster body in for better concealment. 40PC03BK fits 4-1/2" -5" Barrel Large Automatic pistols.